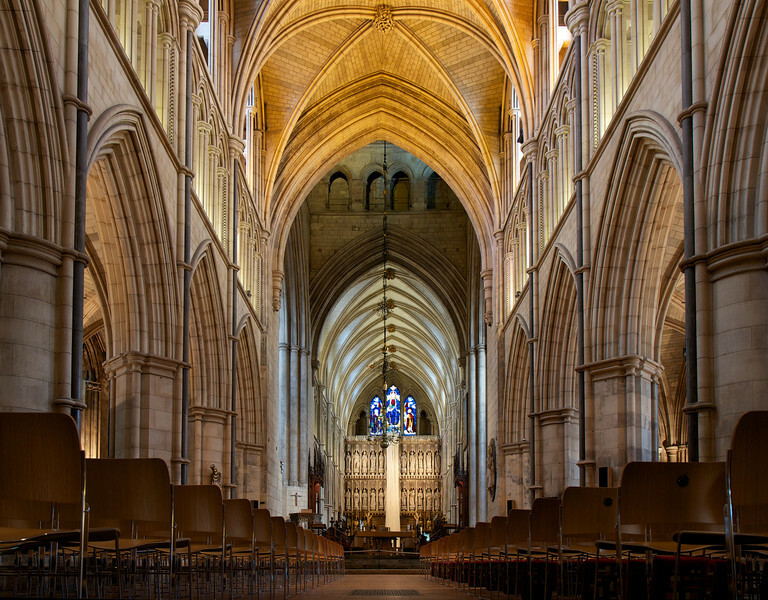 Southwark Cathedral in Southwark, London, is on the south bank of the River Thames near the London Bridge. It is the mother church of the Anglican Diocese of Southwark and has been a place of Christian worship for more than 1,000 years, according to Wikipedia. Prior to the church, the site was a Roman villa, according to the Southwark website. In 1977, a pagan statue from the fourth century was discovered beneath the church. “The present building retains the basic form of the Gothic structure built between 1220 and 1420, although the nave is a late 19th-century reconstruction. The Great Fire of 1212 badly damaged the church. Only a few traces of the Norman church remain today, including a doorway in the north side of the nave. “Rebuilding took place during the thirteenth century, although the exact dates are unknown. In its reconstructed state - the basic layout of which survives today - the church was cruciform in plan, with an aisled nave of six bays, a crossing tower, transepts, and a five bay choir,” according to Wikipedia.